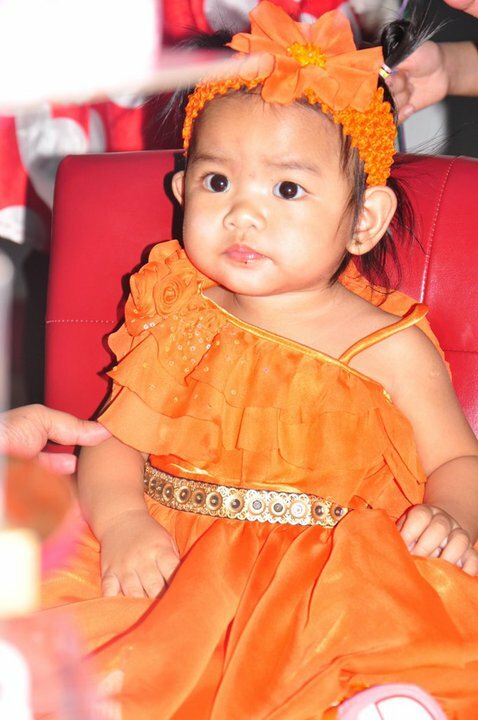 My adorable niece Aira just celebrated her 1st Birthday last May 1, 2011 at Wanasa Land, Al Wahda Mall. 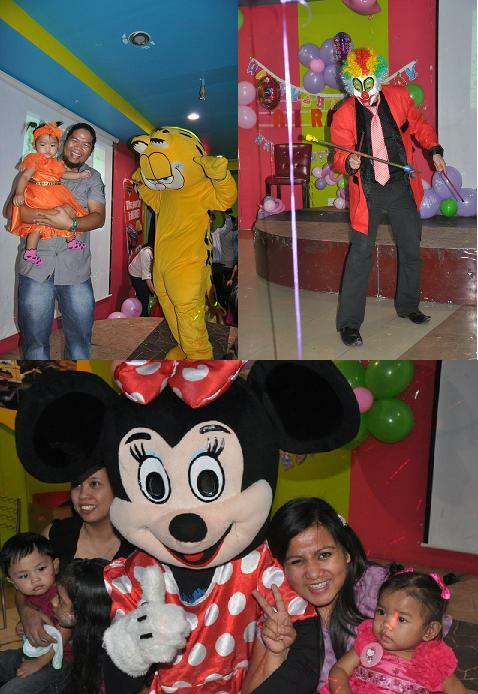 The kids really enjoyed the party especially the Magic Show, Kiddie games and unlimited complimentary rides from Wanasaland. The theme is supposed to be Hello Kitty but since Hello Kitty was stranded in Japan due to Earthquake she just asked her friends Minnie Mouse and Garfield to entertain the guest…. ya’y! Aira Jade Sarmiento-Manalansan is the only child of Jeffrey and my sister Airene. 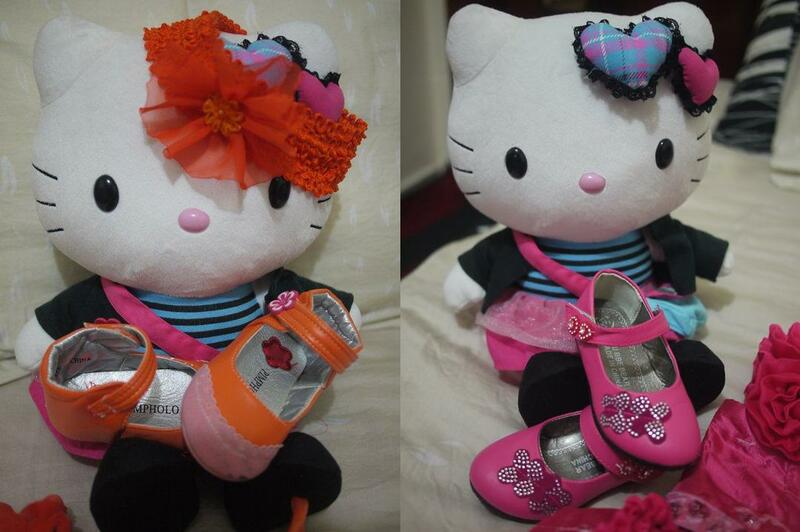 She loves Hello Kitty so much and always fond of TV Commercials. 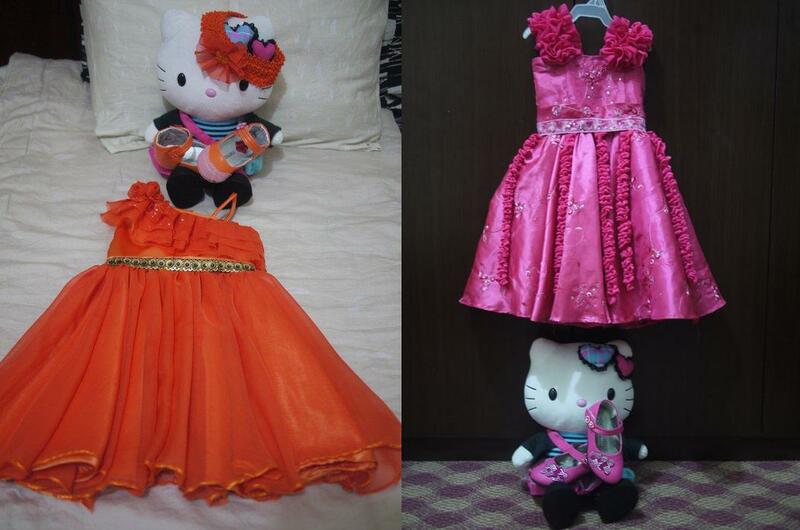 These 2 lovely dresses were made by her Lola Nell. Super thanks to our ever talented Mom mwaaaahhh. I bought these stuff during my vacation in the Philippines last january. 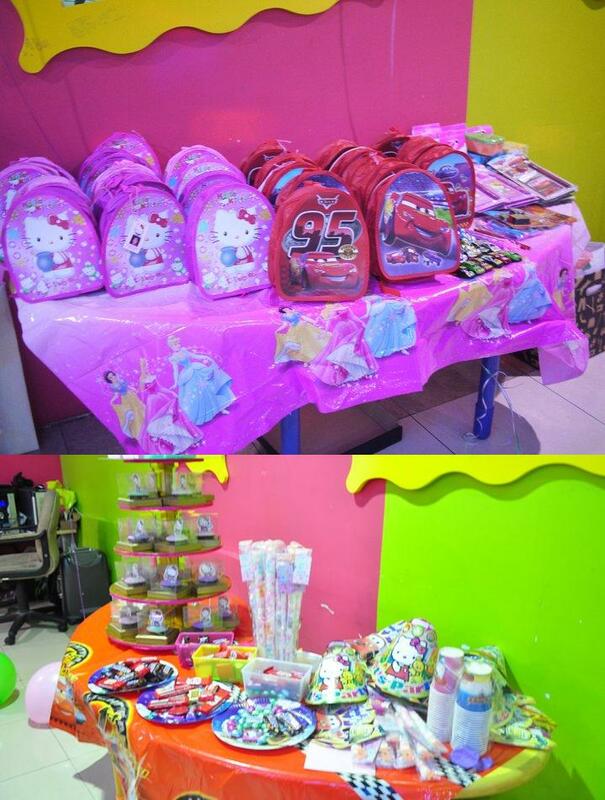 The loot bags and the stuff inside cost 30 PHP (2.50 AED). Divisoria is really everybody’s bestfriend. This cute and yummy home made cake was made by http://ticklscakes.com/. It is very delicious and affordable too compare to those sell in the market. 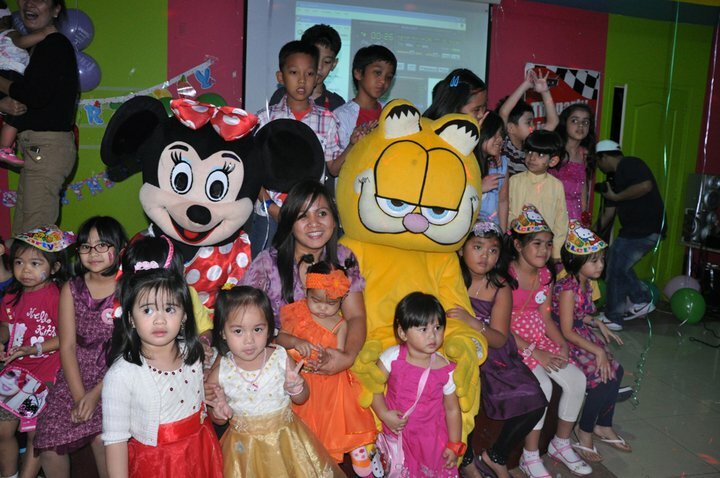 Minnie Mouse and Garfield perform a special dance number for Aira while the clown do a magic tricks. 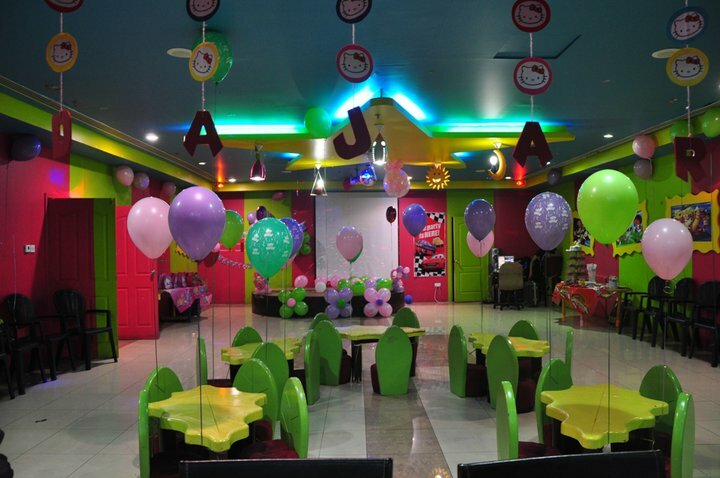 Cute and adorable kids make the party lively and enjoyable one. Thanks for those who attended Aira’s Birthday. 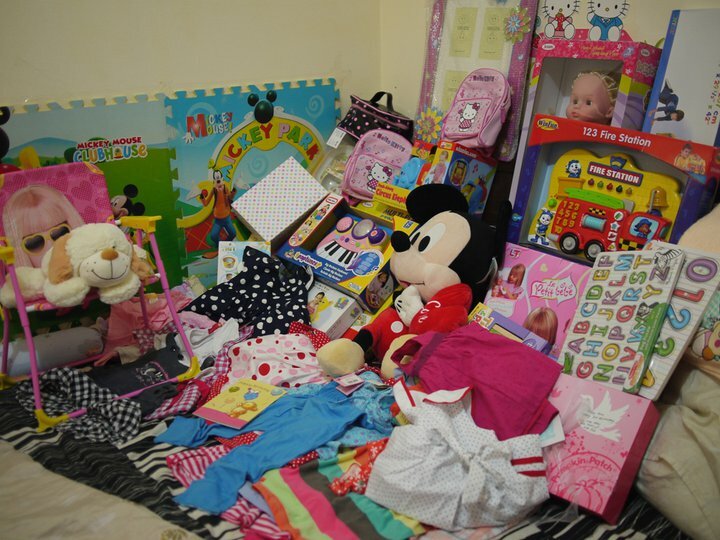 Thanks for the gifts, Aira really appreciate all the gifts she received. Colorful stuff it is! Happy Birthday Dear Aira! I pray to God to bless you with all the joy, happiness and glory in the world. Tnxs for the blog sis, I love it! Additonally, for the banners, invites, button pins etc… tnxs for my brother and bayaw (you can check and order at http://www.prinsonalized.com). The lovely cakes & cupcakes made by inakshi (check here site http://ticklscakes.com) also aira’s cake in her baptismal made by her, so lovely and mouth watering. Belated happy birthday to cute and lovely baby Aira! Wow taray nmn ang first birthday celebration ni jepay! hmmmmmm talo pa nia si aling Dionisia ah! heheheh! sayang I missed the party… d kc nakarating skn ang invitation nyahahhaha! Keep on blogging ate ana! Godbless po! 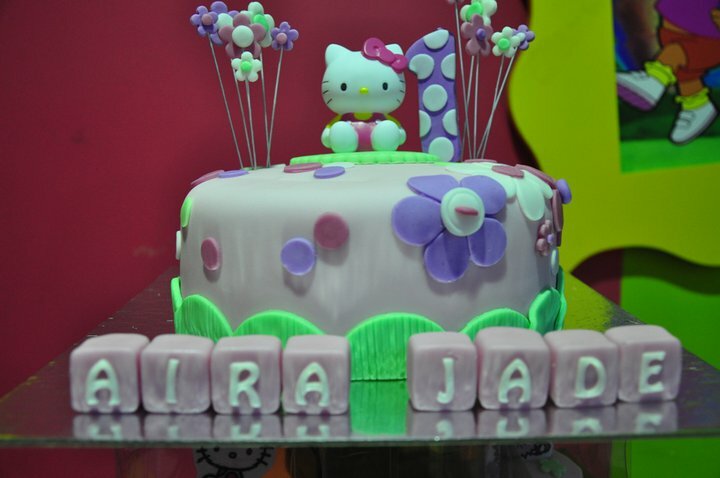 i’m going gaga over the hello kitty cake. hi! thanks for the visit you can check their website here http://ticklscakes.com/ or call them at 0555160825. Enjoy your party! Hi! Shan, Thanks for dropping by… sorry for a very late reply. As far as I remember venue lang ang kinuha namin sa Wanasa nasa 1500 inclusive na yung mga ride all you can for 20 kids. Pero may option sila na may food and complete amenities na. Regarding loots bags there’s a lot in 168 Mall and Divisoria Mal.. If you want naman to avail our personalized loots bags and nice give aways for all occasions. You can contact me or visit or website.